If you are fluent in more than one language and can efficiently translate from one language to another, a small business providing translation services could be the perfect small business for you. Here is what you need to know before you decide if this business idea is the right fit for you. Startup costs are very low. It's a great home-based business, especially because you can work via the Internet. Overhead costs are very low, and you have the potential to make significant profits. You have a very broad target market, including legal, commercial, medical, technical editing, interpretation and more. There is a growing demand for translators in our global community. You can operate solo, or manage a group of translators, even if you are not a translator yourself. You must have complete and thorough command of whatever languages you plan to offer translation services for. 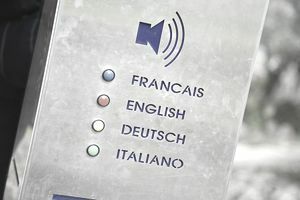 Among your competition may be computerized translation programs and voice recognition technology. It can take some time to establish the business, depending on your location. You may want to become certified before offering your services. You need standard office equipment, including a computer with an Internet connection and possibly transcription equipment if you will be doing audio translation from tapes. What Are the Pros and Cons of Opening a Home-Based Childcare Business?